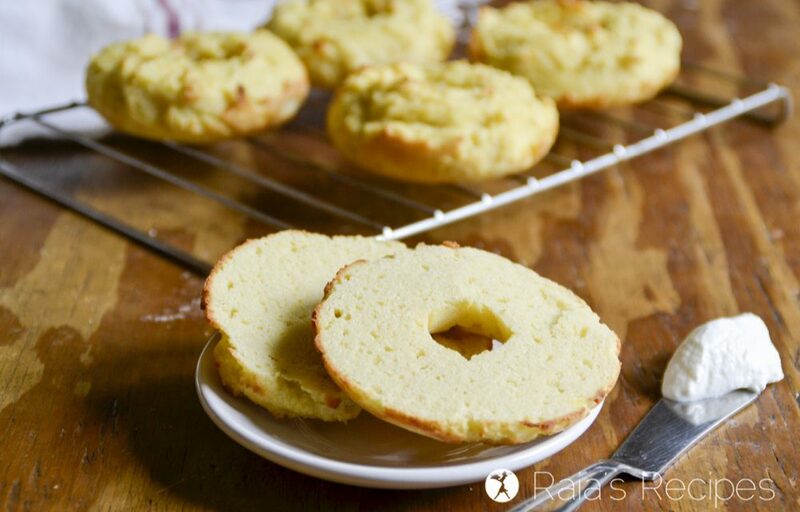 Enjoy breakfast again with these easy, 3-ingredient grain-free bagels! 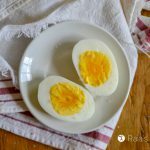 They’re perfect for a GAPS-Intro, primal, or low carb diet. 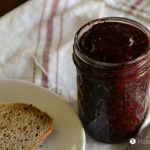 Some people are eggs and bacon morning people, some people prefer cereal, some are just about a slice of toast and jam. And me? I could eat a bagel for breakfast every morning for the rest of my life and be one happy momma. It’s a hard GAPS life. Unfortunately, since going gluten-free, my morning bagels have been few and far between. In fact, I can probably count the time I’ve had bagel over the past 6 years on one hand! 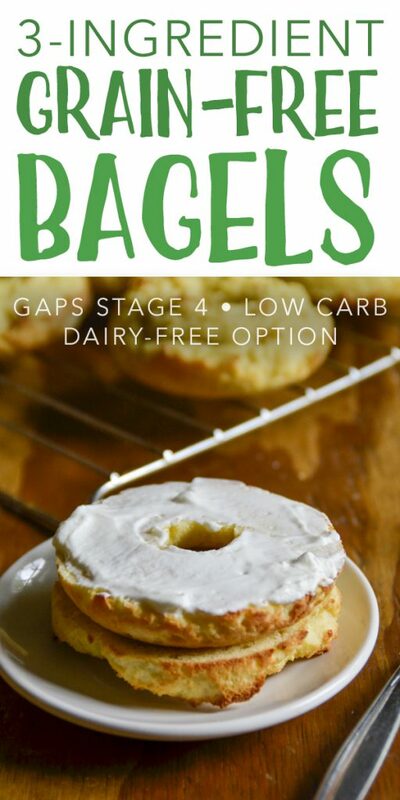 And starting the GAPS intro diet didn’t give me much hope of a future with my beloved bagels, either. For the first few stages I ate soup for pretty much every meal, ’cause that’s just what all the cool people do. Then once I could handle eggs, I added those (yes, into the soup, but also in omelettes). When I got to those fun little nut butter and squash pancakes on stage three my breakfast game was looking up. But I still missed my breakfast breads. Finally stage four came and I began introducing the yummy baked goods. After I got the hang of GAPS intro muffins I got a brilliant idea: fill up my donut pan with muffin batter! Not to brag, or anything, ’cause I’m really such a humble person (ha! ), but these turned out WONDERFULLY. No more missing bagels, my friends. I know, they’re not a perfect replica, because GAPS intro… but they’re as good as you can get! Especially after you toast them up and top them with butter. Now, these little beauties do have dairy in them. 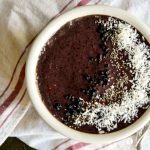 You can try using coconut yogurt or coconut cream in place of the dairy, but I haven’t tried it yet, so don’t be mad at me if it doesn’t work for you. I’ll probably be trying it soon, though, since I’m not doing well with dairy. 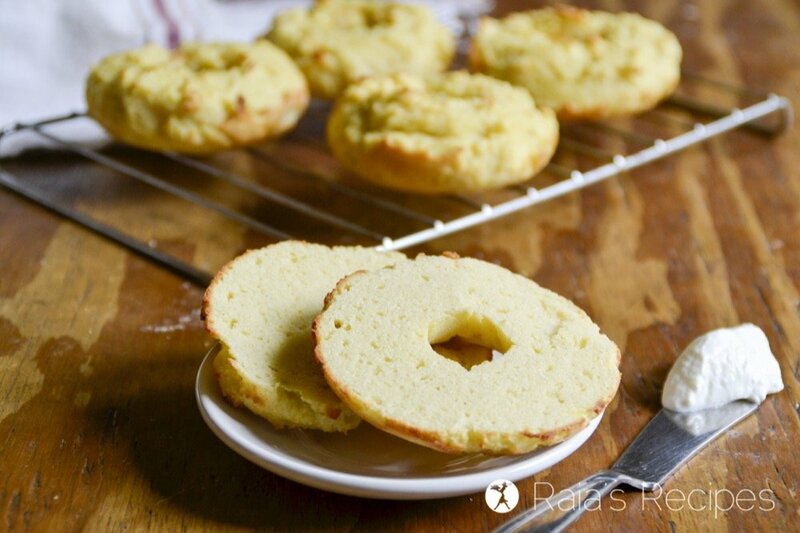 But until I figure that out, enjoy these delicious little grain-free bagels for breakfast! Using a hand mixer, beat the eggs until they’re light and creamy. Stir in the yogurt or sour cream until smooth. Slowly fold in the almond flour, 1/2 cup at a time. Spoon batter evenly into prepared donut molds and bake for 20 minutes. 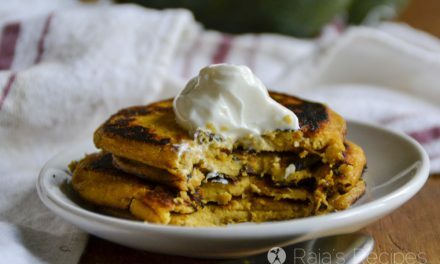 Slice, toast, and serve with butter, more sour cream, crème fraîche, coconut butter, whatever floats your boat! OMG! This is genius! Now… if only I wasn’t off ALL 3 of those ingredients right now! I’d be alllllll over these! I love how easy these are Raia!!! They look great! I can’t wait to try making them. Thank you so much, Emily! I hope you enjoy them! WOW! That is so easy! I wasn’t anticipating that with how great they look! 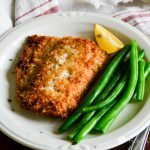 I can’t wait to try these – my kids will love them before school! Honestly these bagels just look SO amazing! Love how easy they are. 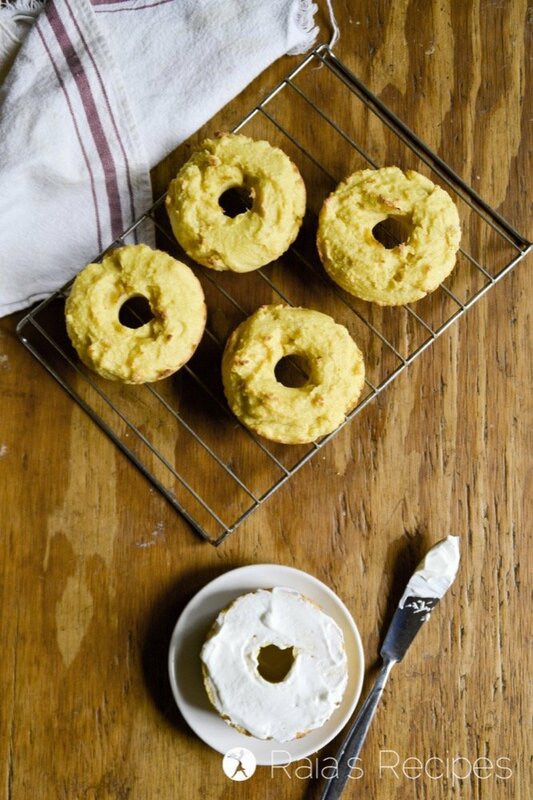 I need to buy a donut pan so I can make these immediately!! Thanks so much! I hope you get to enjoy them soon! Oh man, pass the cream cheese! 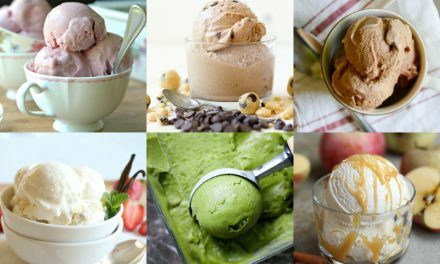 I can’t believe these only use three ingredients! They look simply perfect and so very yummy!! Woah these look really good! 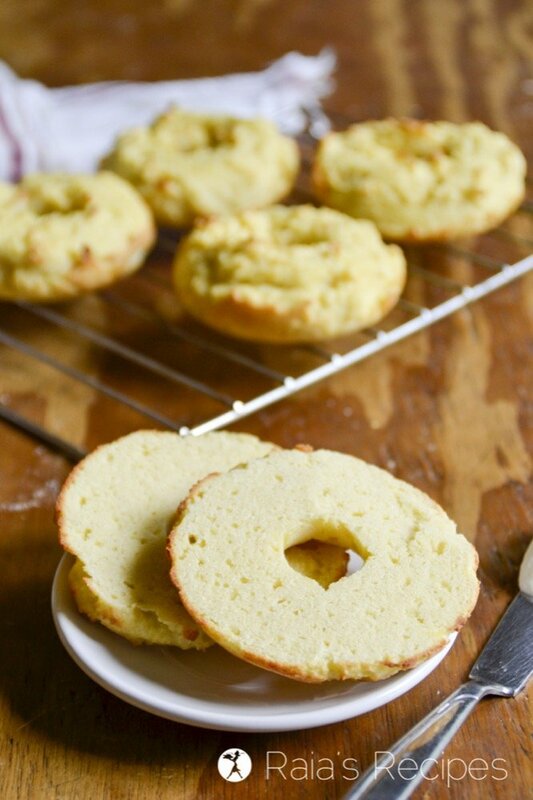 These are some pretty good looking bagels for a grain-free recipe. Thanks for sharing! Glad to share! 😉 Thank you so much! 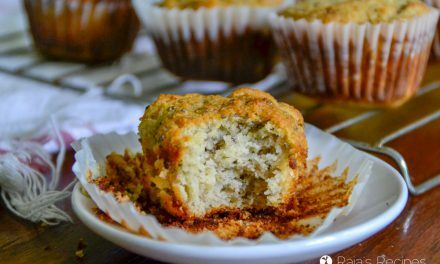 Omg, I’m so impressed these are only 3 ingredients! 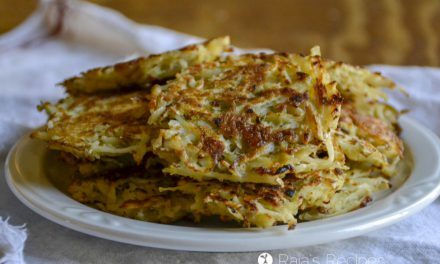 Love that they are low carb, and I actually have all those ingredients in my kitchen. Can’t wait to try! I hope you like them as much as I do, Jean! I have always wanted to learn how to prepare bagels at home. Your recipe is just pitch-perfect! 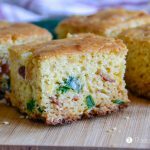 This recipe is for how many servings? It makes 5 bagels. 🙂 I hope you enjoy them! We love these!! 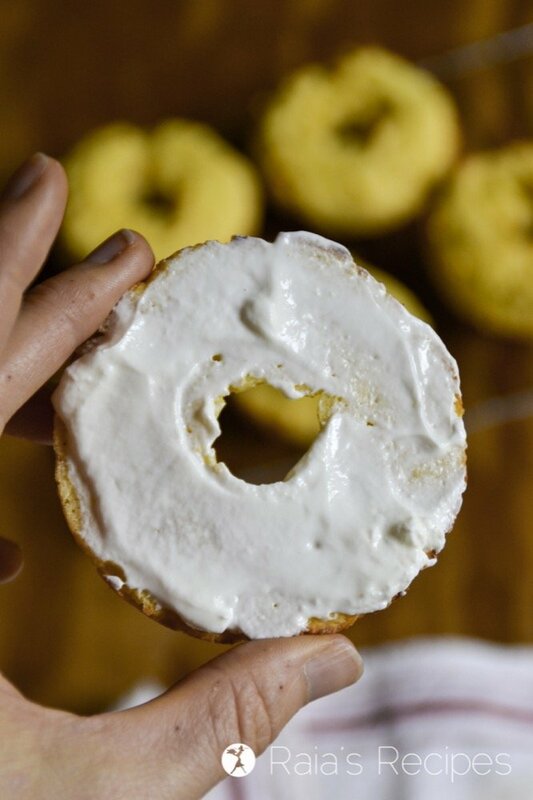 I used sour cream, added Trader Joe’s “21 Seasoning” to the batter, and Everything Bagel to the tops.. I have made them twice so far and they seem to keep well in the fridge. (I used 144 grams of almond flour if anyone weighs their flour and that worked!) Thank you, Raia! I’m so glad to hear you enjoy them, Stephanie! Thank you so much or letting me know! What is the carb count in these? The nutritional information? I look forward to trying them! I don’t count carbs, sorry! I’m sure you could plug them into an on-line calculator and find out though. 🙂 Hope you get to enjoy them! Seems to be some missing steps and variations in baking I don’t know. I remember my ex-wife boiling the bagel rings for a short time, then baking. Cupcake pan not involved at all. Almond flour also not an ingredient. Baking now. Holes in the middle done how? Dough looked a little stickier than I remembered. Hope all is right. Welcome for my wife.